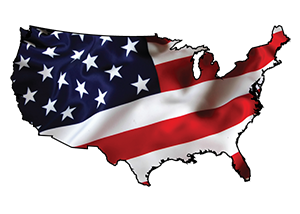 Projects | Freestone Aquatics, Inc.Freestone Aquatics, Inc. In the Fall of 2012 Freestone Aquatics began a long term management and restoration plan for 5-miles of the lower Blue River. The restoration plan will encompass a full-spectrum Baseline Study to develop a design that will include 1/3 of a mile of fisheries habitat and detail bank stabilization efforts for over 5,500 lineal feet of river-bank. The management plan will include fisheries management efforts that will protect migratory fish originating from the Colorado River. To date, Freestone has completed fish population surveys, macro-invertebrate surveys and conducted a GPS survey on approximately half of the project. It is expected that the project will be completed in the Fall of 2015. 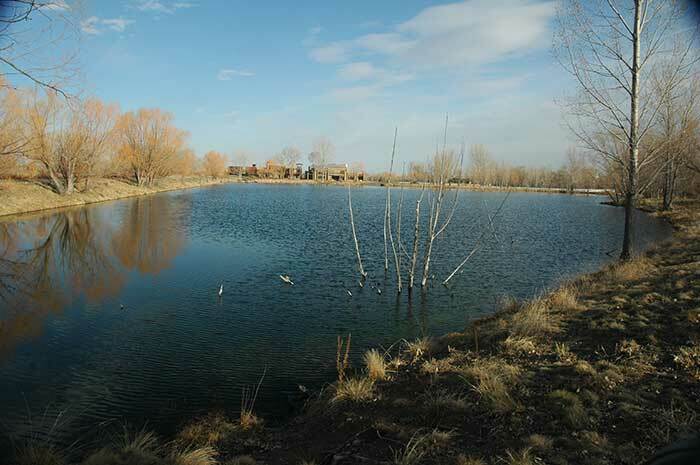 In the spring of 2011, Freestone Aquatics was contracted to reclaim a detention pond located in Lone Tree Colorado. The 1-acre site was in a massive state of disrepair following the installation of a new outflow structure. The site required that the basin of the detention pond along with the surrounding terrain be reseeded and stabilized for project completion. Freestone used native upland and wetland seed types in addition to transplanted local vegetation in the wetland basin. The site was further protected with Erosion Control Blankets, Straw wattles and stabilized using Hydro-mulch. The site returned to its original wetland environment in less than 6-months. 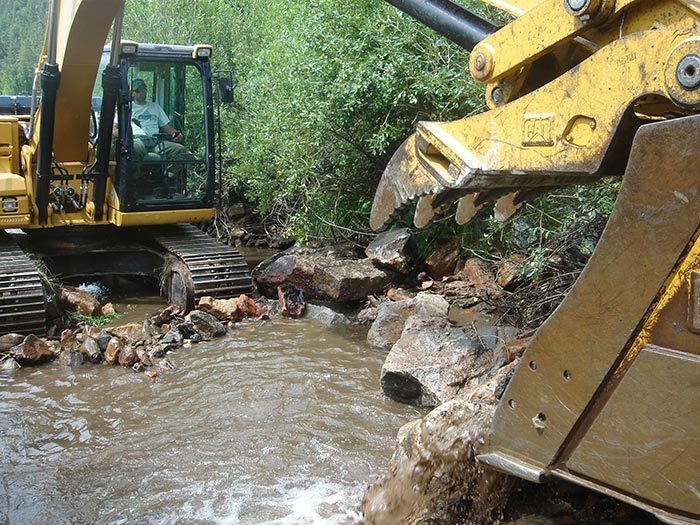 In the spring of 2012, Freestone Aquatics began the process of a full stream restoration project located in Grand County Colorado. The process was initiated by the collection of field data for the Baseline Study. The goal through the Baseline study was to identify limiting factors that hinder the fisheries productivity. Survey data, macroinvertebrate analysis, historical flow data analysis, gamefish population densities, streambed composition, bank stability all contributed to the creation of the design which will be implemented in 2013. The Freestone design will transform this marginal fishery into an angler’s paradise. 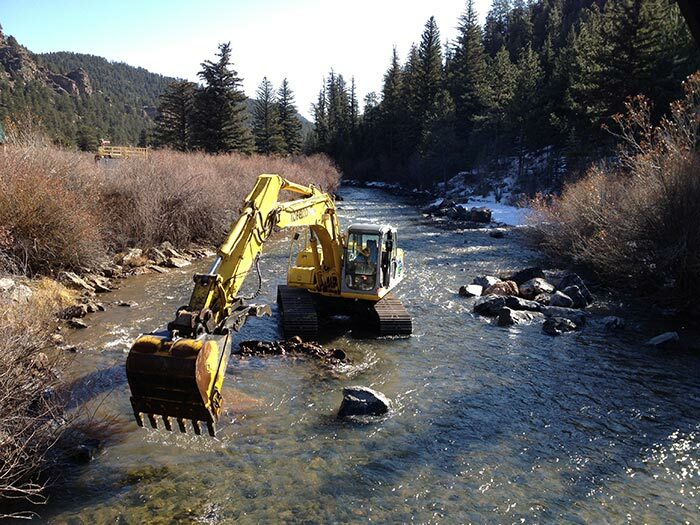 Freestone Aquatics, Inc. was contracted to rehabilitate a section of Craig Creek (Tributary to the North Fork). 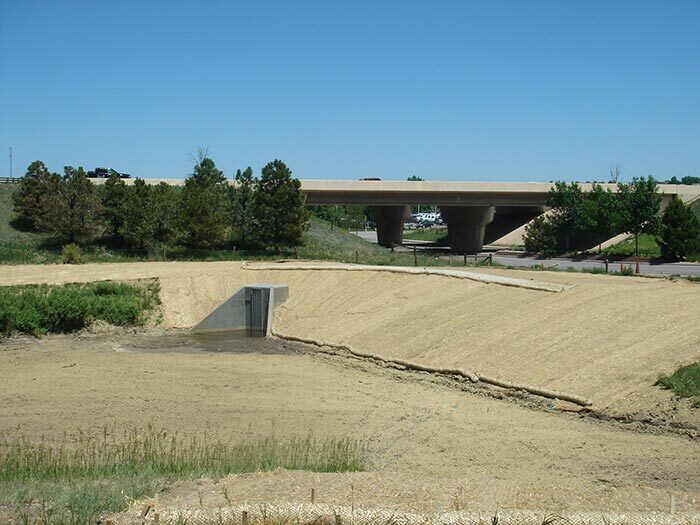 The goals of the project were to restore the system to its natural state and transport sediment through an upper reach that receives tremendous inputs from an upstream neighbor and an adjacent county road. Freestone performed a full project survey and Baseline Study, leading to a cost effective design that would not only transport undesired sediment but also, increase overall fishery habitat and spawning opportunities for migratory fish of the North Fork. The project consisted of fisheries habitat creation and channelization. Strategic structure elevation and location now provides excellent sediment transport and year-round habitat for resident and migratory salmonids. In addition, Freestone modified areas where sediment was entering the system from a county road to eliminate additional sediment into the live water system. Re-vegetation efforts including willow staking, willow transplant, and native seeding now provide a fully established riparian corridor following construction. 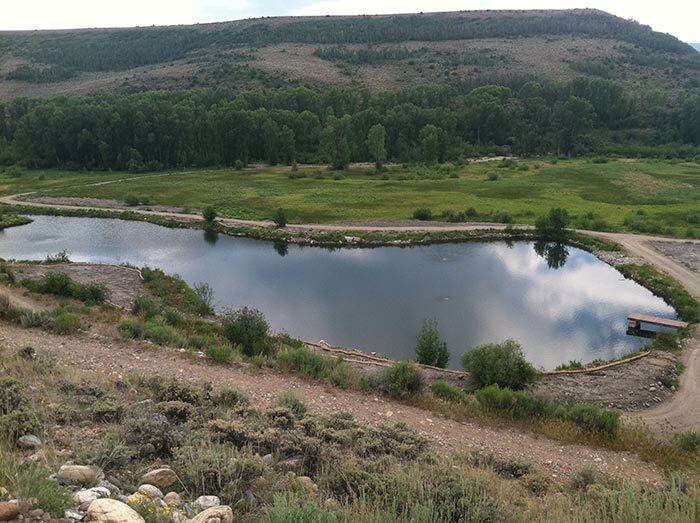 In the Summer of 2010, Freestone Aquatics was contracted to perform a modified Baseline Study to determine the water chemistry from a head-gate diversion structure nearly 2 miles upstream from a pond environment suffering from annual fish kills. The Baseline Study included collection and analysis of macro-invertebrates and aquatic vegetation. The Baseline study reflected that water quality could be improved and the major limiting factor was overall pond depth and water temperatures. Recommendations for pond excavation were reported and a custom aeration system was prescribed. The pond environment is now thriving and fish are only stocked once every four years in very small quantities. 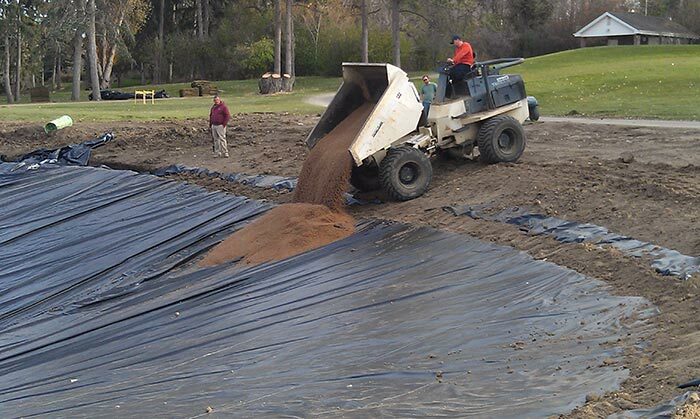 Fall 2011, Freestone Aquatics was contracted to supervise the installation of an 18,000 square foot pond liner at the first hole of the Denver Country Club. 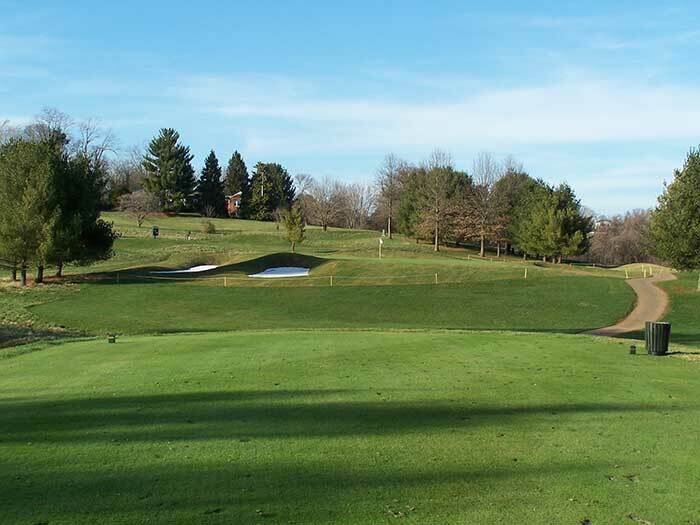 The golf course and firm that were re-designing the course layout sought consultation services for liner placement, seam welding and proper placement of overburden. Freestone provided design and expertise that greatly enhanced the pond environment as well as made the ecosystem more functional and sustainable by inhabitants other than golfers. 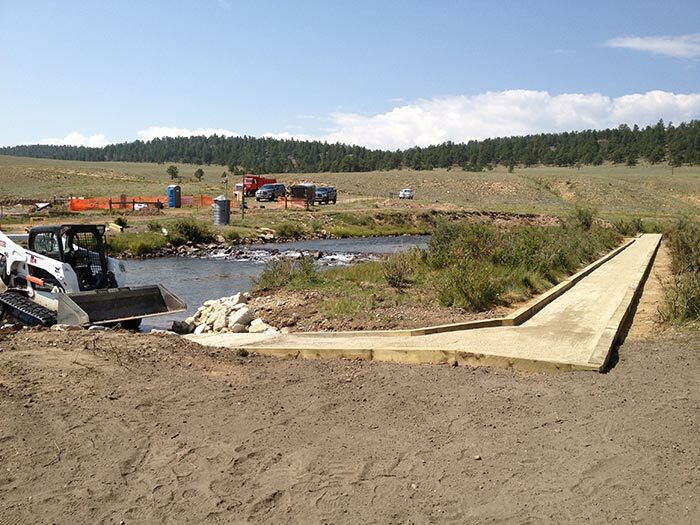 One of the most exciting projects during 2012 for Freestone Aquatics was the design, permit, and build of a Handicap and Disability Access trail on Middle Fork of the South Platte. The design incorporated over 1,100 feet of trail with 1 natural river crossing and seven concrete access points allowing for less mobile anglers to access the streambed. One challenge through the design process was retaining connectivity to the wetland environment adjacent to the channel. A series of engineered, elevated bridges allowed culverts to keep the channel and wetland connected during periods of higher flows. Compacted road base and crusher fines make for a travelling surface easily navigated. 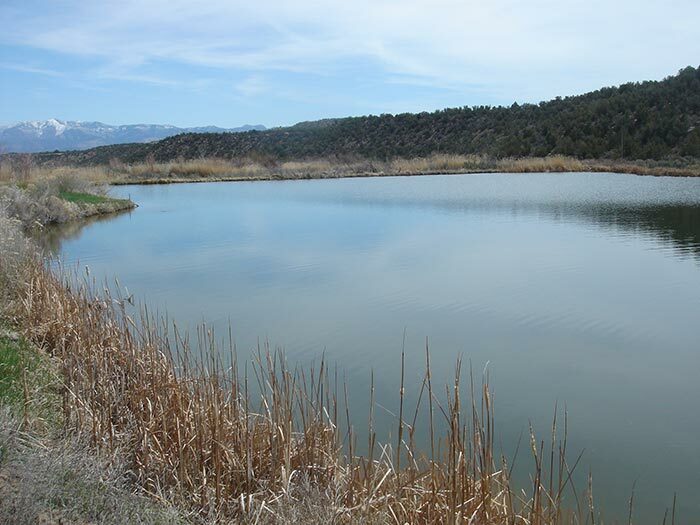 In 2012 Freestone was contracted to perform a full restoration of a series of 3 ponds in Grand County. The ponds totaled 4 acres in size and had been plagued with extreme algae and aquatic vegetation growth. Through the rehabilitation process, Freestone Aquatics removed over 5,000 cubic yards of muck and sludge from the pond bottoms. Overall depth was increased by over three feet. 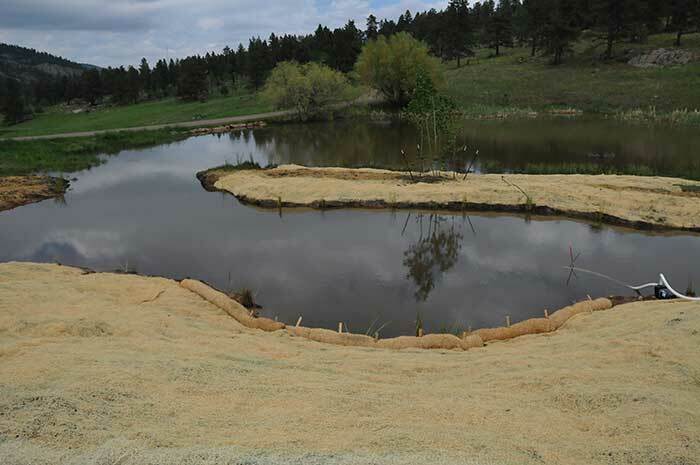 Once the muck had been removed, electrical and solar aeration systems were installed to reduce the pond aging process. The pond currently receives Bio-Safe lake treatments to keep the ponds from returning to their once troubled state. During 2010 Freestone Aquatics Freestone was contracted to design, permit and build fisheries enhancements to improve the public fishing access adjacent to the McGraw Park communal area. Over 22 structures were designed and installed throughout the ¼ mile of public fishing access. Freestone Aquatics was also contracted by the Park County Historical Society to renovate the McGraw Park landscape, outbuildings, restore the historic Keystone Bridge and improve recreational access for locals, tourists, kayakers and anglers. In 2009, Freestone Aquatics donated equipment, materials and labor to install a fishing pier and Kayak put-in (In-Kind $25,600) at McGraw park. 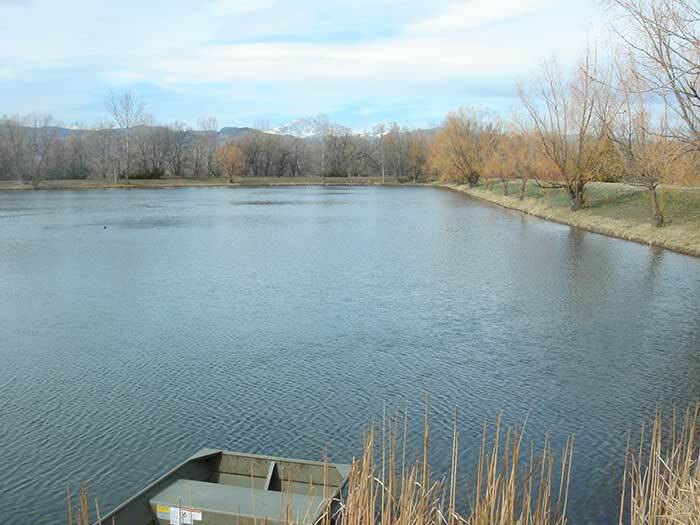 Since 2008 Freestone Aquatics has been actively managing a 7-acre lake environment near Longmont Colorado. Freestone was brought in to consult on a highly eutrophic stillwater environment. The process began by performing water quality tests and determining the limiting factors plaguing the once gin clear lake. After determining that the inflow from an adjacent lake and groundwater were the causes of the poor water quality, a prescription of Bio-Safe microbes and a light dose of chemicals were deployed steering the water quality in a healthy direction. A custom aeration system was installed to assist in the decomposition processes. Freestone is now glad to say the lake is extremely healthy and the landowners can now utilize its true beauty for any number of recreational activities. 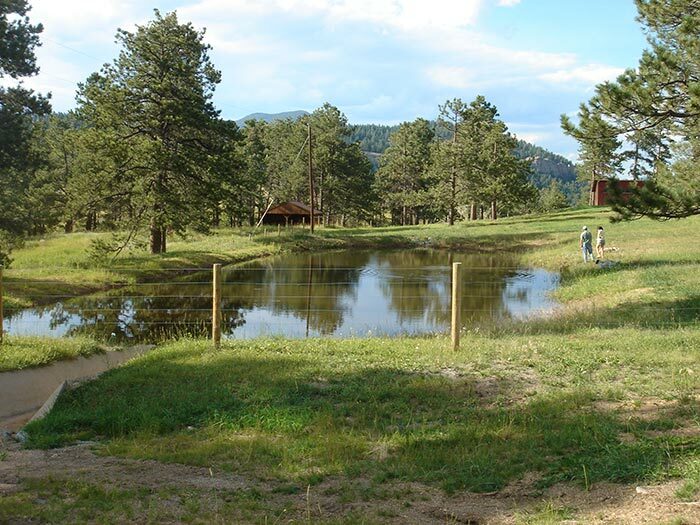 In the spring of 2011 Freestone Aquatics was contracted to perform a full-spectrum Baseline Study of the water resource located on a ranch near Woodland Park Colorado. The landowner’s objective was to determine how to improve the productivity of his water resource from a fisheries perspective. The property contains 4 stillwater environments totaling over 6 surface acres. The Baseline Study included the collection of Water Quality data, Macoinvertebrate collection and analysis, Aquatic Vegetation collection and analysis, analysis of annual available flows, Gamefish Population survey, Pond Mapping, and Topographic Delineation for future water storage opportunities. The study determined that three of the pond environments were in need of restoration and the fourth was a trophy Brook Trout fishery. 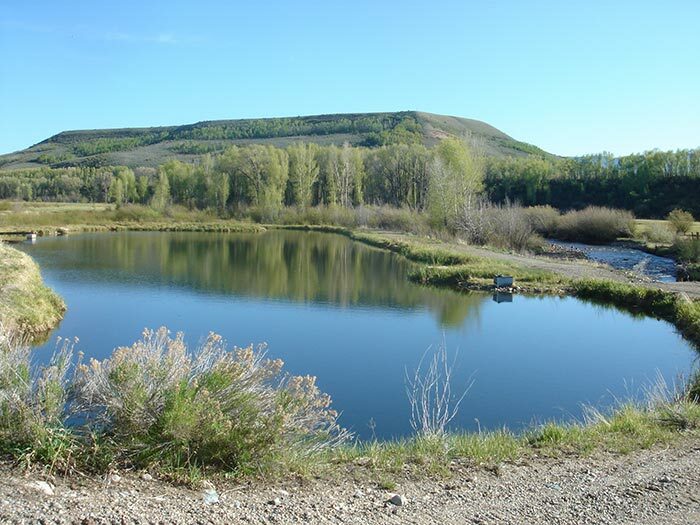 The study included a fisheries improvement and management plan that addressed the modification needs of the three less productive ponds. 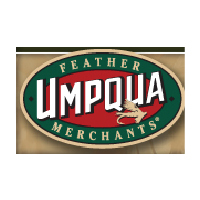 Currently, minimal fish stocking is occurring with the intent of beginning the improvement portion of the Fisheries Master Plan beginning in the spring of 2013. The study compared the difference between the productive pond against the other three to display potential. The landowner is eager to restore the 3 struggling ponds to a state that resembles the trophy pond environment. Fall 2010, Freestone Aquatics was contracted to rehabilitate a pond environment that was unable to retain water. Analysis of the site determined that a 30mil pvc liner was required to collect and retain available storm water. Freestone also installed a collection channel that would convey additional water to the pond environment. Now the pond holds as much water as the dam wall will allow and the newly engineered outlet structure is more active than ever. During the spring of 2009, Freestone Aquatics was requested to create an innovative solution to re-mediate the increasing width to depth ratio resulting in increased amounts of sediment plaguing the infamous Texas Hole reach of the San Juan River. Through meticulous study and analysis of the limiting factors associated with this famed fishery, Freestone created a design focused on the concentration of flows and sediment transport. Located left is one example of the design details that were utilized by the state of New Mexico during construction efforts performed in 2011. Freestone Aquatics was contracted in the Fall of 2012 to provide a cost effective bank stabilization solution for over 575’ of river bank annually eroding with the high flows of the North Fork. Utilizing 2-4’ imported boulder material, Freestone carefully placed over 116 tons of material to shore up areas where sloughing and mass wasting was occurring. Through the process, Freestone Aquatics reclaimed nearly 5000 ft² of property lost to widening of the river channel over time. 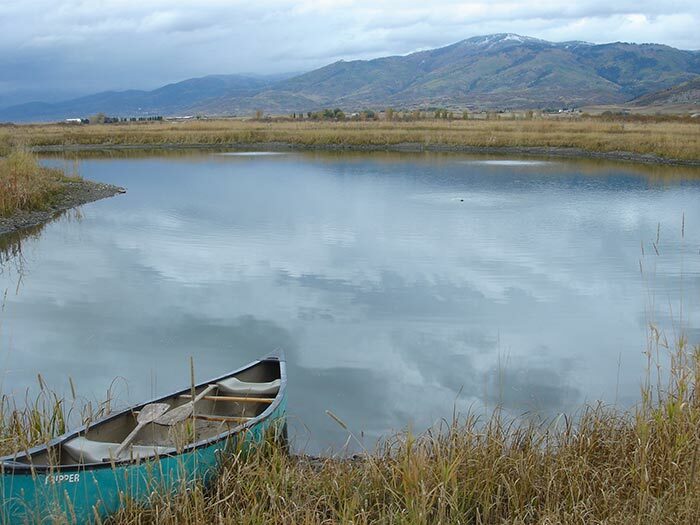 Beginning in the Spring of 2012 Freestone Aquatics was hired as a consultant to perform a resource assessment for an angling property near Steamboat Springs. The goal through the assessment was to create stillwater fisheries in two ponds that had been devoid of fish for the past 6 years. After a battery of tests and data collection, lack of flow through and overheating during the summer months were the leading causes to lack of fish and productivity. A custom aeration system was installed to provide additional circulation and to assist with decomposing organic material. The ponds are currently on a regimen of Bio-Safe treatments that ensure optimum pond health. Freestone Aquatics currently monitors the pond environments quarterly with full reporting to document any environmental changes. 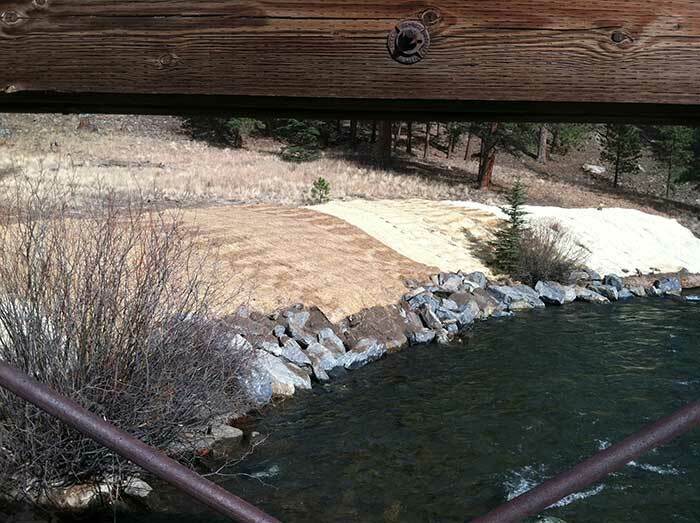 During the spring of 2010 Freestone Aquatics completed a large-scale lake enhancement project near Evergreen, CO. The ultimate goals for this project entailed excavation to deepen an existing part of the lake and enlarging the lake to create a wildlife island where waterfowl can safely nest and reproduce. The completed project resulted in doubling the lake’s size and the creation of wetland benches using native wetland plantings. The project is considered a great success, and it is estimated that it has increased the property value by more than five times the cost of the project. 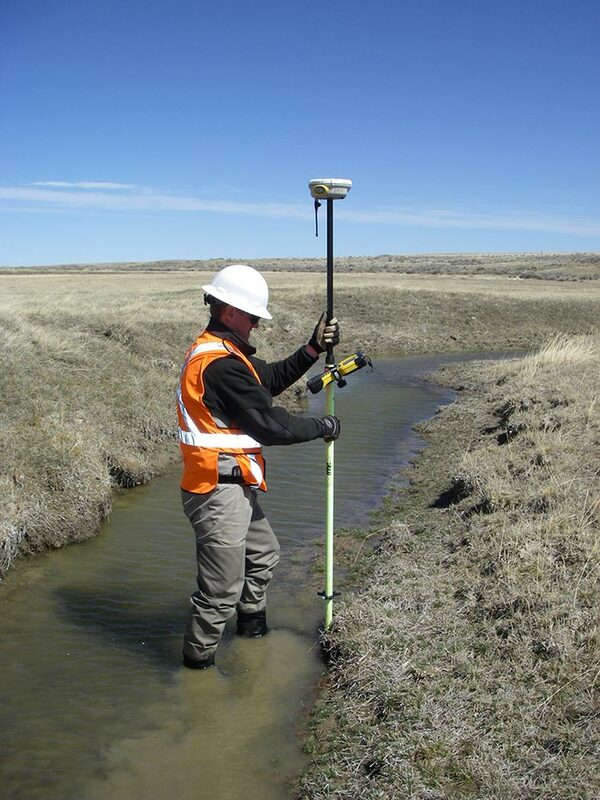 In the spring of 2010, Freestone Aquatics conducted a survey and analysis of Muddy Creek related to the construction of a renewable wind energy farm near Medicine Bow, Wyoming. Freestone was contracted to provide a Level II Morphological Stream Evaluation which will act as a baseline understanding as to the condition of the creek. The morphological evaluation and description will be the foundation for future monitoring and management of the creek by PacifiCorp Energy and the Wyoming Department of Game and Fish.The project report provided by Freestone Aquatics outlined the survey methodology and techniques using GPS grade survey equipment. Data from dozens of stream and floodplain cross sections, a longitudinal profile, and a computer hydraulic modeling program were applied to classify the stream and describe its current condition. The results from this project will be relied upon for years to come for managing Muddy Creek on the Wind Energy Site. 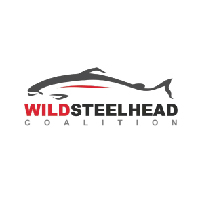 The Freestone Companies have been at the forefront of fisheries development and management on this project. 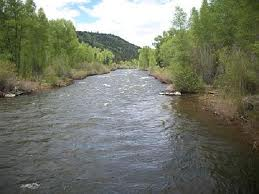 Conducting a pre-contract evaluation of nearly 2 miles of the North Fork of the South Platte River, Freestone Aquatics insured the landowners and lessees understood the true value of the property and the fishery. 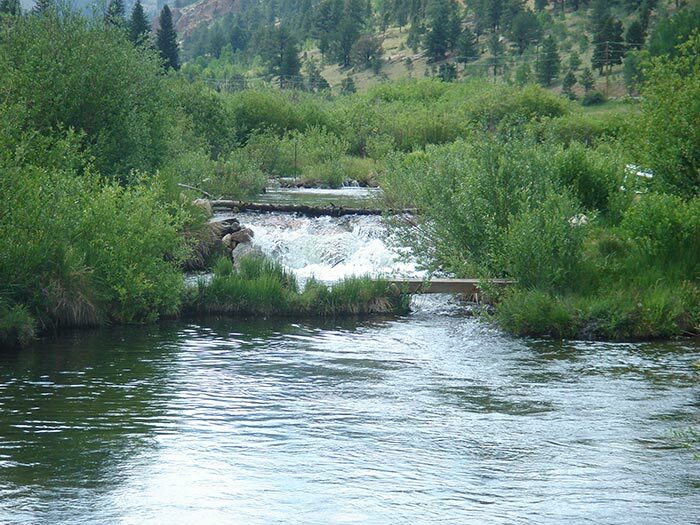 Just a half an hour from the Denver area, this is one of the premier private-water fisheries in the state. Freestone Aquatics was contracted to provide preliminary evaluation of the entire property; assist in property procurement; property; and property improvements that included angler access, facility construction, wader-cleaning construction- minimizing invasive species concerns, fencing and gate access installation.During the development of proper property management, Freestone Aquatics conducted a full spectrum baseline study of the fishery, analyzing such variables as macroinvertebrate populations, water quality, streambank stability, riparian plant inventory/invasive species identification, channel stability, hydraulic modeling, sediment transport, trout population evaluation, habitat design, and Army Corps of Engineers/Colorado Division of Wildlife permitting. Habitat construction was completed in June of 2010 on phase one of four, and the carrying capacity of this reach has increase several times over due to the greatly improved trout habitat. The fishery has improved greatly under proper management, and will continue to improve with better hatches of aquatic insects, improved over-wintering habitats, greater high-flow protection, increased low-flow habitat, and greater overall populations of large resident trout on the property. 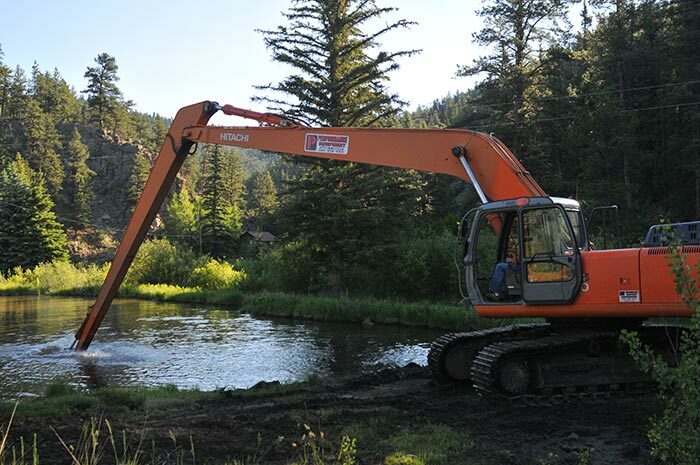 In June of 2010 Freestone Aquatics completed phase one of a pond restoration project in the South Platte River drainage of Colorado. Over 100 cubic yards of sediment was removed from the pond, resulting in increased depth and a better temperature regime for the resident trout. 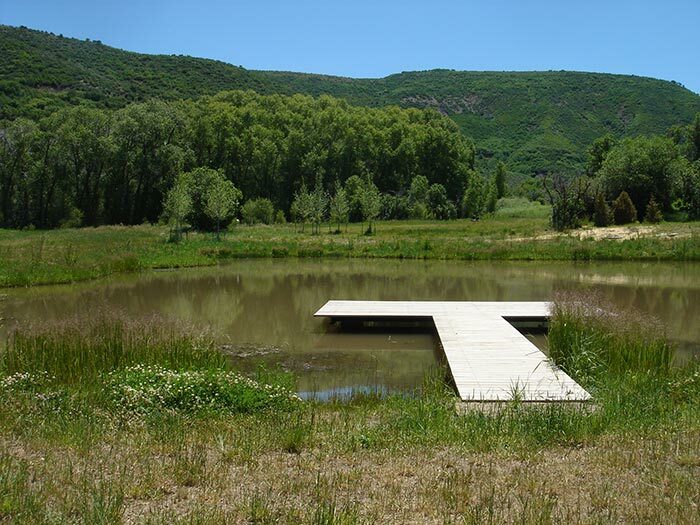 A wetland bench was created in one area of the pond, and native wetland plants were introduced. This wetland bench addition greatly increased the invertebrate habitat for fish and waterfowl feed as well as juvenile trout rearing habitat. 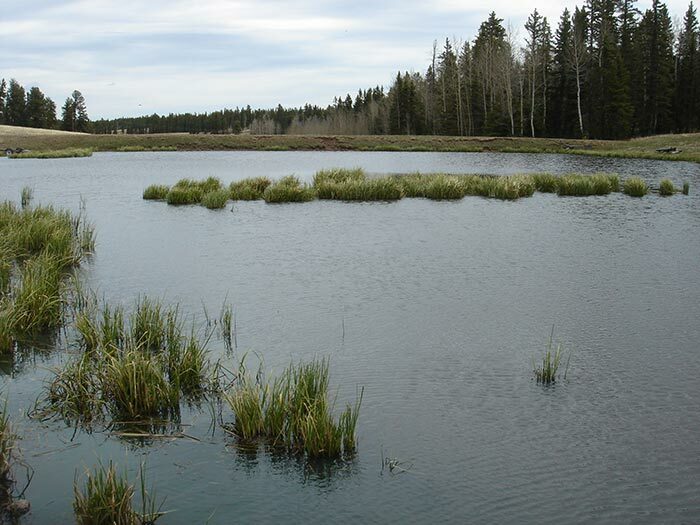 Phase two and three of this project entails the management of sediment into the pond by restoring the inlet ditch and the design and installation of sediment transport/trout habitat structures within Craig Creek. The installation of a custom lake bed aeration system is also in the plans for phase two; this is an excellent investment in proper lake management, and it will greatly improve the year-round health of the lake bed, water quality, and the lake’s aquatic inhabitants. Since 2007 Freestone Aquatics has been monitoring and developing a management plan for a private warmwater lake fishery in Boulder County. Of primary concern is the dense overgrowth of macrophytes in the lake which is negatively affecting the water quality, specifically the dissolved oxygen content. The applied management plan, which involves aquatic vegetation treatment and the introduction of beneficial microbes, has proved to be very successful, and the residing fish populations have shown improved health and densities. 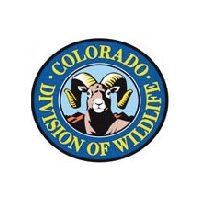 Freestone Aquatics has been contracted to continue monitoring and management efforts to maintain what is likely one of the most robust largemouth bass fisheries on the Front Range of Colorado. Freestone Aquatics was contracted in 2008 to restore approximately 1/2 of a mile of the North Fork of the South Platte on this commercial, rod-fee based fishery. 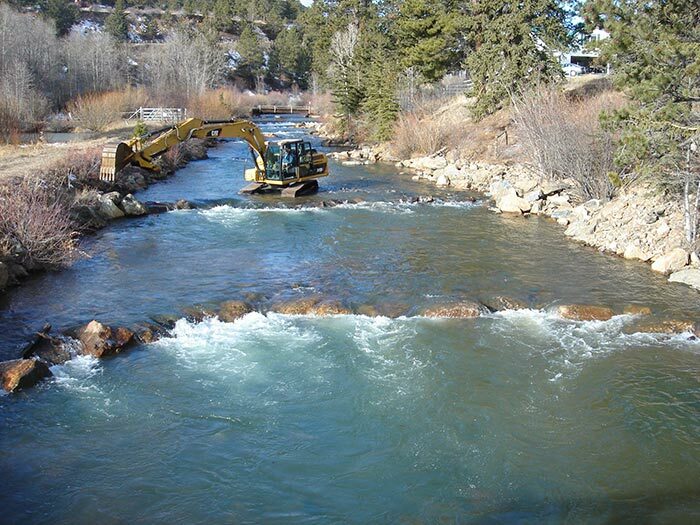 The project goals involve improvement of in-stream habitat and rehabilitation of unstable banks. The evaluation phase of this project entailed the analysis of the stream’s morphological conditions, including sinuosity, width to depth ratios, entrenchment ratios, channel slope, riverbed/substrate analysis, and historical flow studies. Channel surveying and hydraulic modeling was conducted as part of the evaluation and assisted in habitat design and post construction monitoring. Applying the Army Corp of Engineers Hec Ras 4.0 program allowed for multiple flow simulations on the existing channel and the proposed-modified channel. After evaluation, Freestone Aquatics was contracted to design, permit, and construct habitat structures that function to provide bank stability, high flow protection, low flow habitat, overwintering habitat, and improved spawning potential. Post construction monitoring has produces very positive results; the carrying capacity has been estimated at eight to ten times what is was pre-construction. In 2008-09 A property owners association hired Freestone Aquatics to conduct a Baseline Evaluation of their trout fishery in a high altitude reservoir at the foot of the Indian Peaks Wilderness Area. The reservoir has been in a relatively healthy state for years, and has assisted in maintaining property values for the landowners. The goal of Freestone’s analysis was to provide critical data that would be applied to the developing management plan provided by Freestone Aquatic’s professionals. During the study, a few variables were identified as limiting factors for the fishery, and proper management of these has been effective in improving the fishery. Continued proper management provided by Freestone Aquatics will assure that this fishery continues to be sustainable and an essential element in maintaining property values for the local landowners. 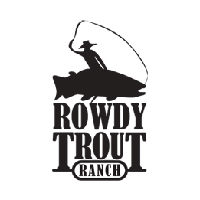 This 2100 acre, working sheep-ranch has relied upon Freestone Aquatic’s fisheries experience to evaluate, restore, and manage their seven acre lake and a half mile of stream in Routt County, Colorado. Phase one of this multi-year project involved the analysis of lake macrophytes (aquatic vegetation), water quality monitoring, and lakebed sampling/analysis. Since evaluation, a custom lake bed aeration system has been implemented as part of the management plan and the need for macrophyte lake treatment has been minimized. The lake is now capable of producing individual trout specimens up to twenty-eight inches without supplemental feed. Phase two of the project focuses on Morrison Creek and entails the design, permitting, and construction of instream habitat structures to stabilize the channel and provide relief from extremely high spring flows. A completed phase two of this project will provide in-stream habitat types at multiple flows greatly increase the spawning success the wild brook trout population and survival rates of their offspring. 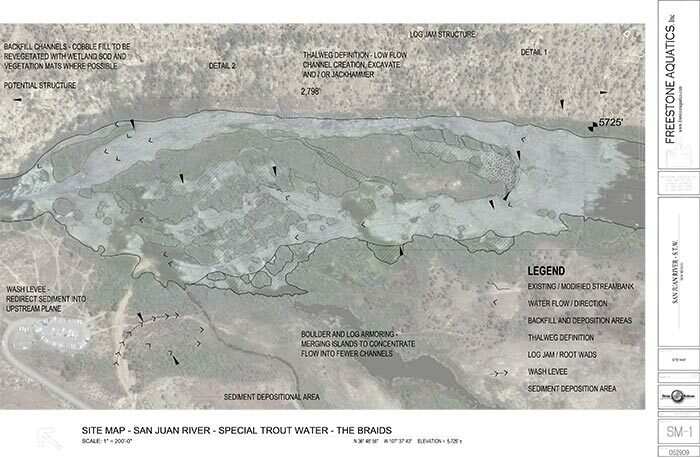 Freestone Aquatics is currently in the evaluation phase on 1 1/2 miles of a significant spawning tributary to the Colorado River near Kremmling, Colorado. Bank stability analysis, channel stability surveys, riparian habitat evaluation, macroinvertebrate sampling/monitoring, water quality analysis/monitoring, and hydraulic modeling are all taking place this season. 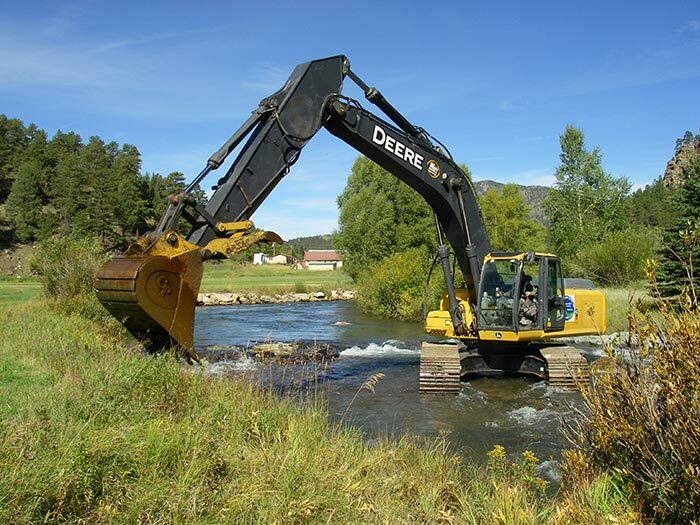 Design and permitting will be completed this fall, and instream habitat structures will be installed during the 2010 season. The goal of this project is to improve instream habitat for trout during an extremely wide spectrum of flows. 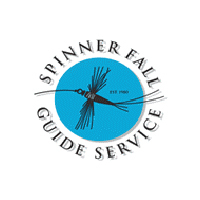 The investment by the landowner in this project will provide an approximate five to one return in property value and assure that the commercial outfitters that pay to fish the property return year after year with higher rod-fee rates. In the spring of 2009 Freestone Aquatics was hired to diagnose issues with a lentic fishery system in Oakland County, Michigan. Sedimentation and aquatic vegetation overgrowth has been deteriorating the lake for many years. After initial consultations, Freestone Aquatics professionals concluded that the lake is suffering from eutrophication and a management plan has been put into action to recover the declining trout populations. Essential elements of this management plan include the installation of a lakebed aeration system and the introduction of beneficial microbes. 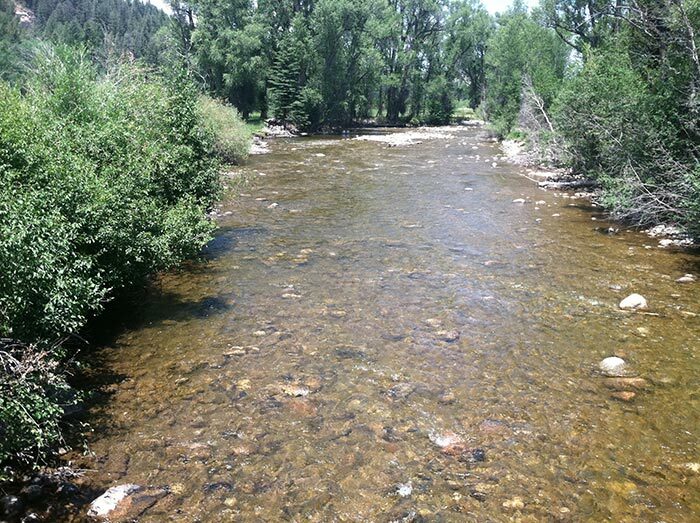 A private landowner in southern Colorado has asked Freestone Aquatics for monitoring and management services for their private fishery on the Conejos River. Habitat structures were installed by the Army Corps of Engineers in 2008, and Freestone aquatics has begun monitoring the project’s success. Indicator variables monitored include macroinvertebrate density, diversity, and distribution. Morphological changes and sediment transport is being monitored by permanent cross sections. The wild trout population, especially the young of year class, is being monitored to estimate the success of the side channel-rearing habitat that was created. Thus far this project has been successful, and there is potential for Freestone Aquatics to design and construct more habitat structures to complete the project. 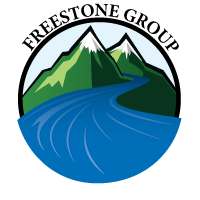 In 2006 a Freestone Aquatics Principal was hired to assist in a large scale habitat evaluation of over 42 miles of the Puget Sound tributary streams near Seattle, Washington. 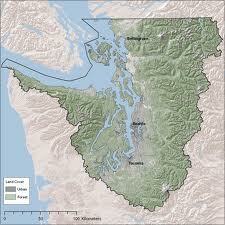 This project addressed the habitat quality for the threatened species of Puget Sound salmon and steelhead. 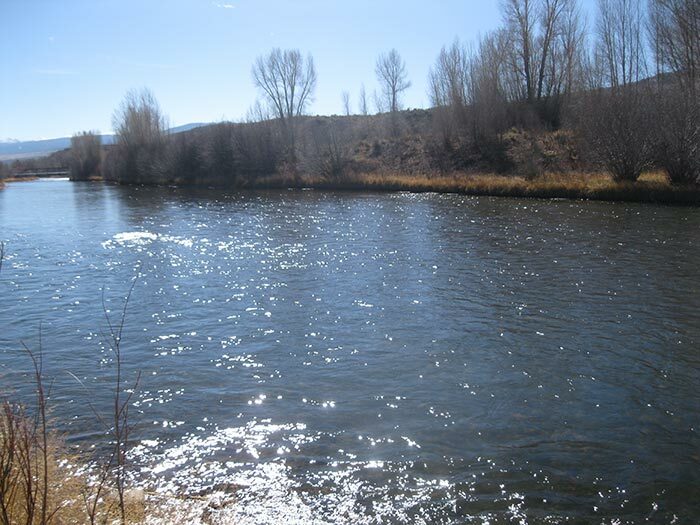 Channel stability, riparian habitat, width to depth ratios, riffle to pool ratios, woody debris, spawning potential and invasive vegetation were all measured and the results were considered in the revised basin-wide management plan for Pierce County.